MDC Alliance leader Nelson Chamisa reportedly gathered the MDC-T national executive after the general elections and tabled a motion for a congress set for next year. 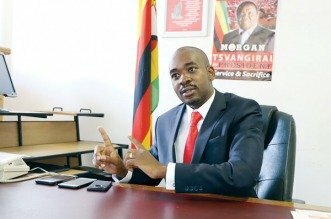 Chamisa is challenging the result of the presidential election in which President-elect Emmerson Mnangagwa was declared winner by the Zimbabwe Electoral Commission earlier this month. The Constitutional Court is set to hear the matter on August 22, with parties in the process of finalising responses but focus now seems to be slowly moving onto internal politics within his opposition party. “At the national executive meeting held following the elections, the president (Chamisa) indicated that the party would go to congress next year. There was no objection because this is a constitutional requirement at the expiry of the five years following the last congress. “This is an elaborate process that begins with the lower structures up to the nomination of the top leadership before the national congress which is likely to be around October next year,” NewsDay heard. “This is a constitutional issue that we hold a congress every five years and an extraordinary congress in between as and when there is reason for this. I did not attend the meeting but I do not see reason why he would have made such a proposal,” Khumalo said, referring questions to Chamisa’s spokesperson Nkululeko Sibanda. Sibanda earlier in the day had promised to inquire with his principal promising to provide answers but had not responded by the time of going to print. MDC-T national organising secretary Amos Chibaya confirmed that indeed Chamisa had tabled the motion. “Yes the president just mentioned it in passing but for now we are all focused on the national election that we won. It is no longer an alliance issue but a national matter that should concern all Zimbabweans. The congress will come and it’s a constitutional issue that is not in question,” Chibaya said. Chamisa came to power following the death of MDC-T founding leader Morgan Tsvangirai in February this year, triggering a vicious internal leadership fight that ripped the opposition movement apart. Then co-vice-president Thokozani Khupe fought Chamisa for the top job but the youthful former MP prevailed, leading to a split that analysts argue could have cost the latter’s chances of winning last month’s presidential race. While Khupe demanded an extraordinary congress, Chamisa rejected this arguing it was a side-show meant to distract the opposition party from the important business of a then pending general election. Reports have emerged of jostling for positions with secretary-general Douglas Mwonzora seen as a possible challenger for the party’s leadership. 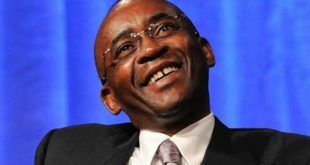 Mwonzora prevailed over Chamisa during a vicious scrap for the position of party chief administrator at the 2014 congress. However, the former Nyanga North MP has kept his cards close to his chest and has in the past few weeks been forced to sue the media for linking him to a plot to oust Chamisa. 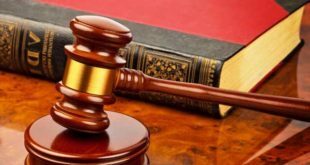 According to the reports, the plot against Chamisa “is premised on two pillars” to blame the presidential candidate and the alliance for failing to deal with double nominations, which allowed Zanu PF to get a two-thirds majority in the National Assembly and personal campaign blundering.